The Lord takes delight in His people, today’s Psalm tells us. (Psalm 149:4) For most of my life, I thought I believed it—without actually believing it. Growing up, my father was a Baptist pastor and if there was one truth that permeated our home, it was that God loved us. Obviously a lucky kid, I never had cause to question the simple adage. But it wasn’t until college that I was confronted with the uncomfortable realization that although I knew God loved people, I wasn’t so sure He liked us very much. Or, more specifically, I wasn’t sure He liked me. Once I began to seriously consider the possibility that I delighted God, I couldn’t get it out of my head. I began praying and journaling for hours, asking the Holy Spirit to help me believe it if it was indeed true. I pored over Biblical books that reiterated the affections of God like Hosea, the Gospel according to Saint John, and the Psalms. I listened to audio teachings and worship music that emphasized God’s love. And gradually I began to believe that the delight of God wasn’t just a fluffy idea—it was actually a life-altering truth. Now, having sat with the reality of the Lord’s affections for me and for you for nearly fifteen years, I can believe it much more readily. When I stumble, I know His delight in me hasn’t wavered—and it’s only that knowledge that picks me up and urges me to keep working towards holiness. Back when I lived with the deep internal belief that I was a disappointment to God, the cloud of condemnation wasn’t enough to propel me into His arms. Shame distances us from our Creator; confidence in love draws us towards Him. The Lord takes delight in His people. 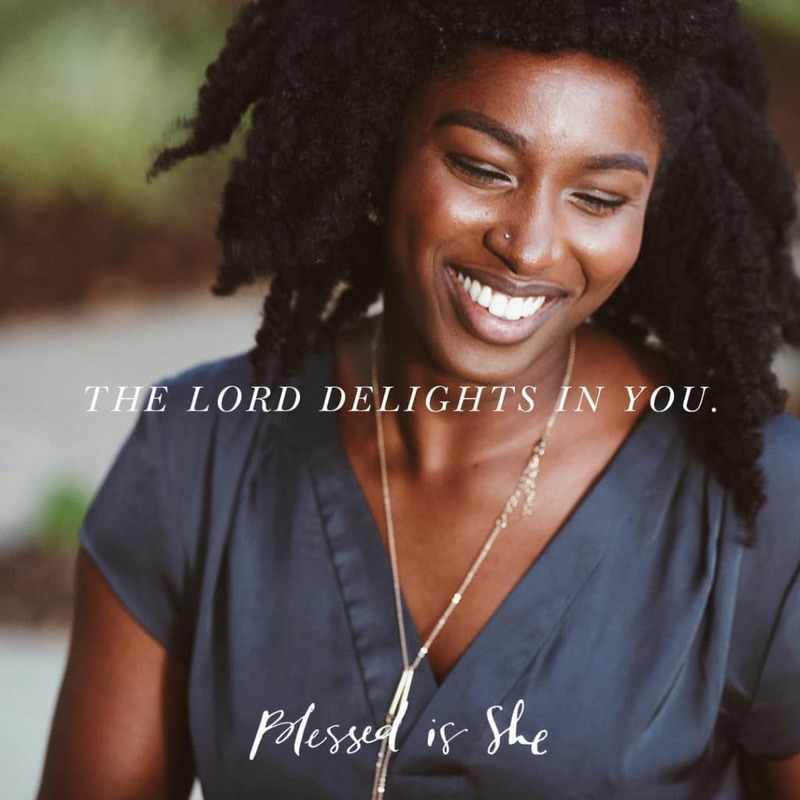 Do you believe that He takes delight in you, dear sister? How might your spiritual life look different if you were to commit to believing it? His delight is in you not because of what you do, but simply because you are His. Today, let that be enough. I began to believe that the delight of God wasn’t just a fluffy idea—it was actually a life-altering truth. Shannon Evans is a Protestant missionary turned Catholic convert who lived to tell the tale. An adoptive and biological mom of two boys, she enjoys hosing mud off children, scrubbing sticky furniture, and rushing to the ER to have nails extracted from small intestines. You can find out more about her here.